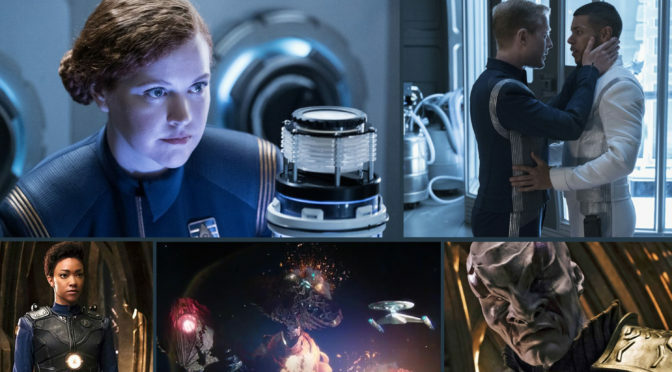 Last week HollyMichelle had just one episode of Star Trek Discovery under her belt this week she has seen up to episode 6 Lethe. 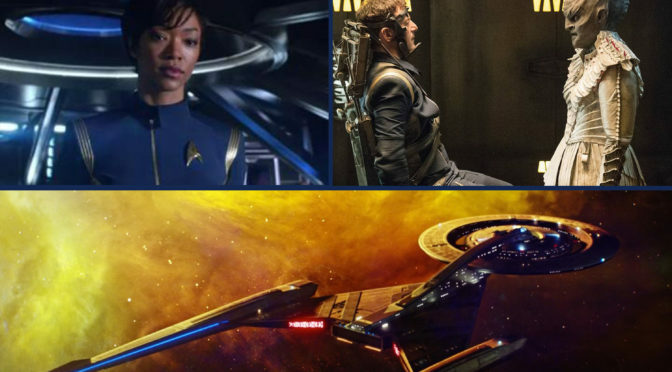 So David and Aaron decided to get her take on Discovery now that he has made it just over one third of the way into the show. 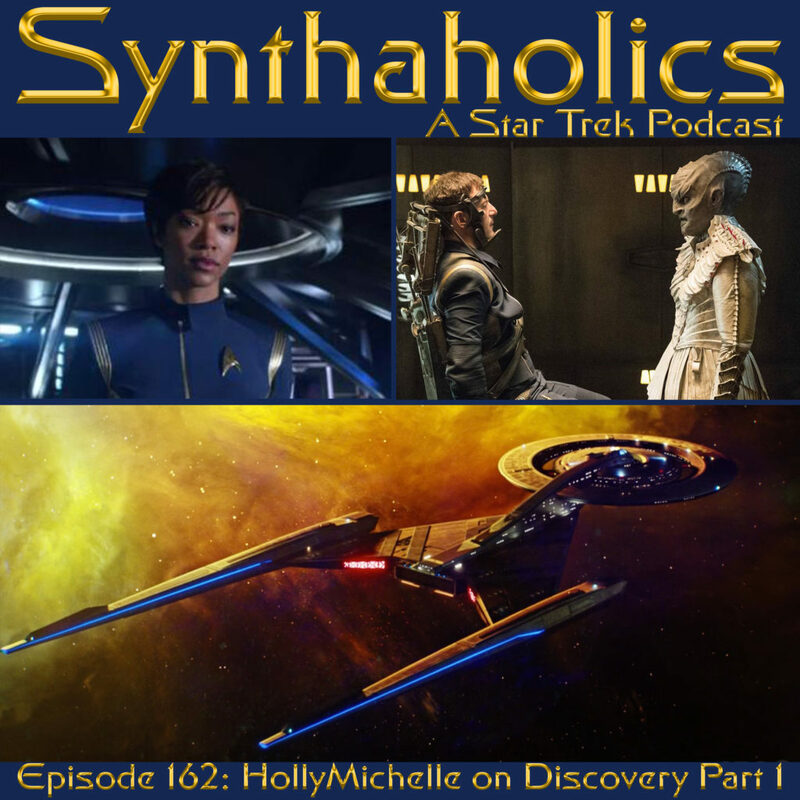 Last week HollyMichelle posted a video along with needed words for a Star Trek Themed madlib to our Facebook Group. It hasn’t been completed yet so we did our own madlib and started the show with that. 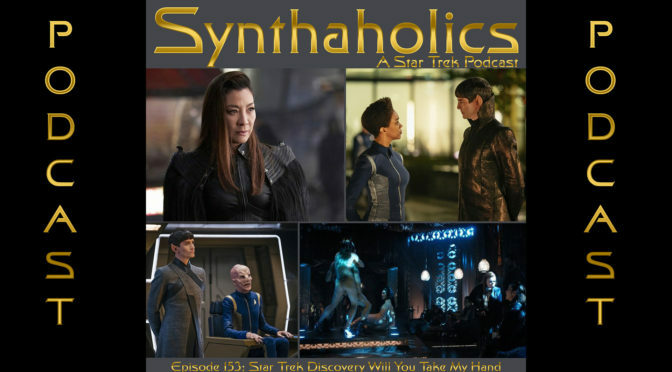 We had a really fun discussion with HollyMichelle about the first six episodes and got her thoughts and feelings on the show so far. We are looking forward to do part two of this discussion once she has finished the show. 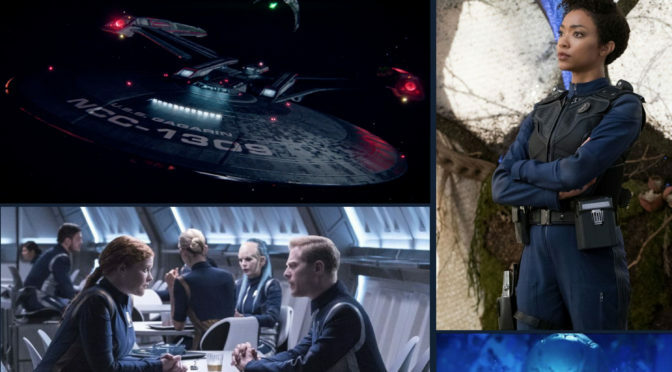 If you have bloodwine you should pour a glass it’s time for your weekly shot of Star Trek! 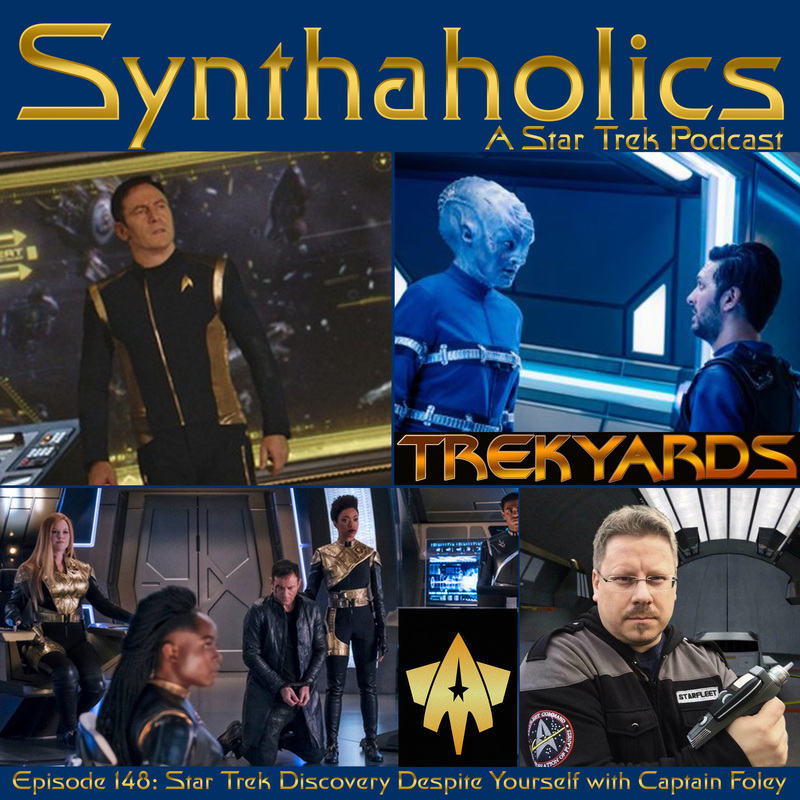 This week we have a request to talk about the Star Trek Voyager Episode Equinox. 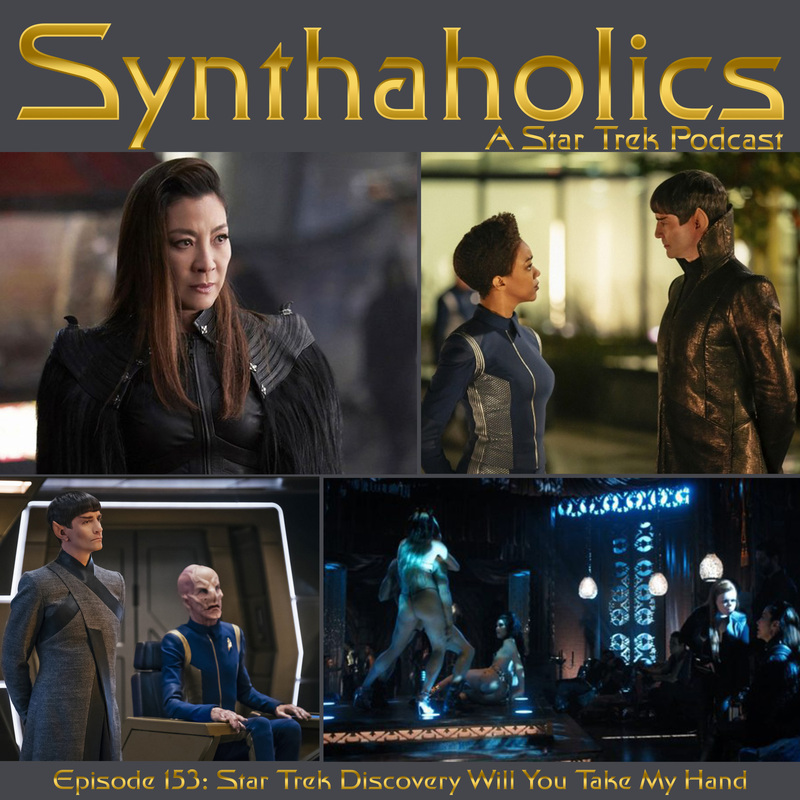 This request came from the Synthaholics Facebook group around when Episode 4 of Star Trek Discovery aired. 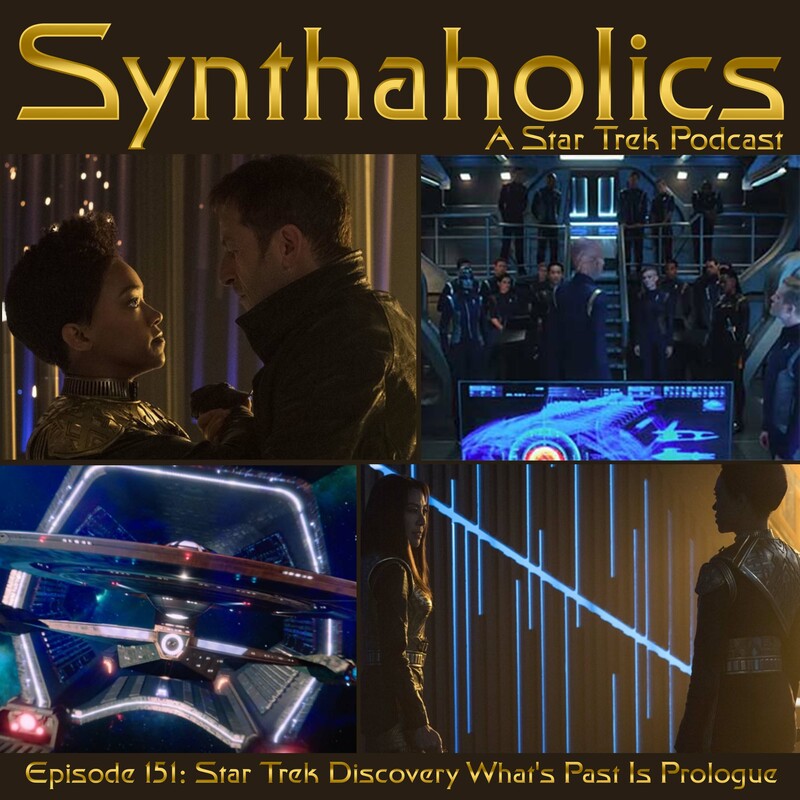 Comparisons were made between Captain Ransom and Lorca so we thought this would be a fun episode to touch on while Star Trek Discovery is still fresh in our minds. If you ever make contact with a green floating alien don’t try to make fuel out of it! If you are looking for drink ideas check out the Synthaholics YouTube channel. 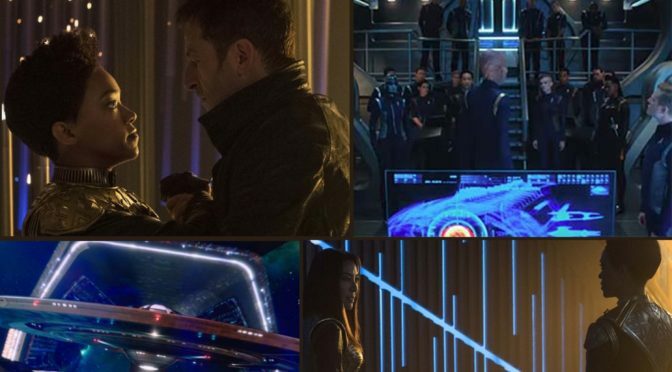 There you will find some drink to try while you enjoy your weekly shot of Star Trek! 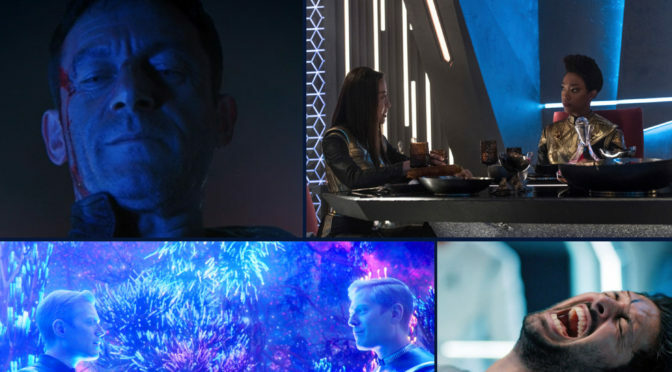 Star Trek Discovery comes to its mid season finale with Into the Forest I Go. 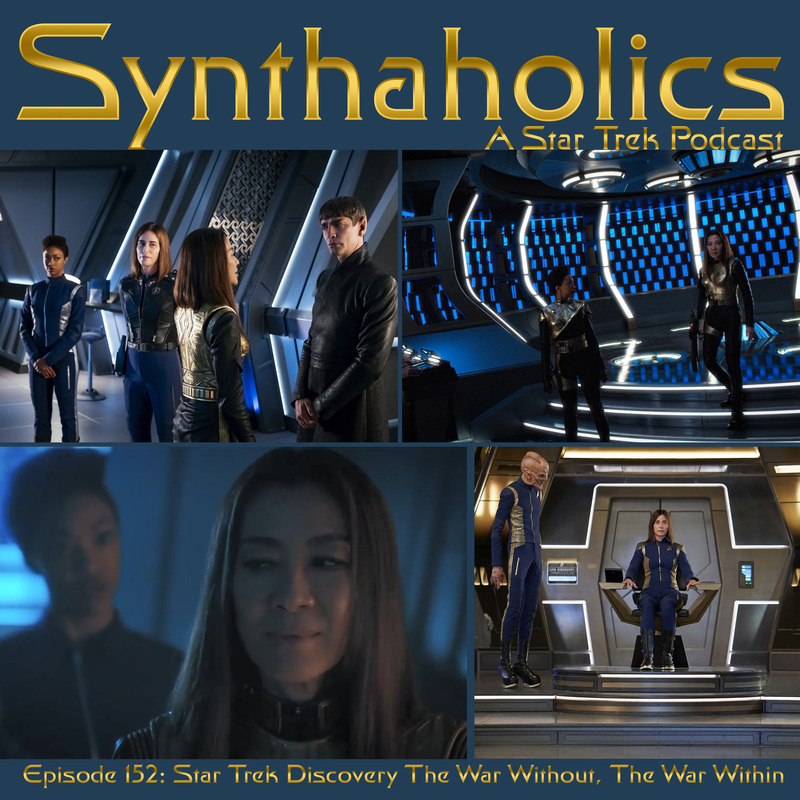 The first chapter of season one comes to a close, luckily the wait won’t be too long for the second chapter of season one! 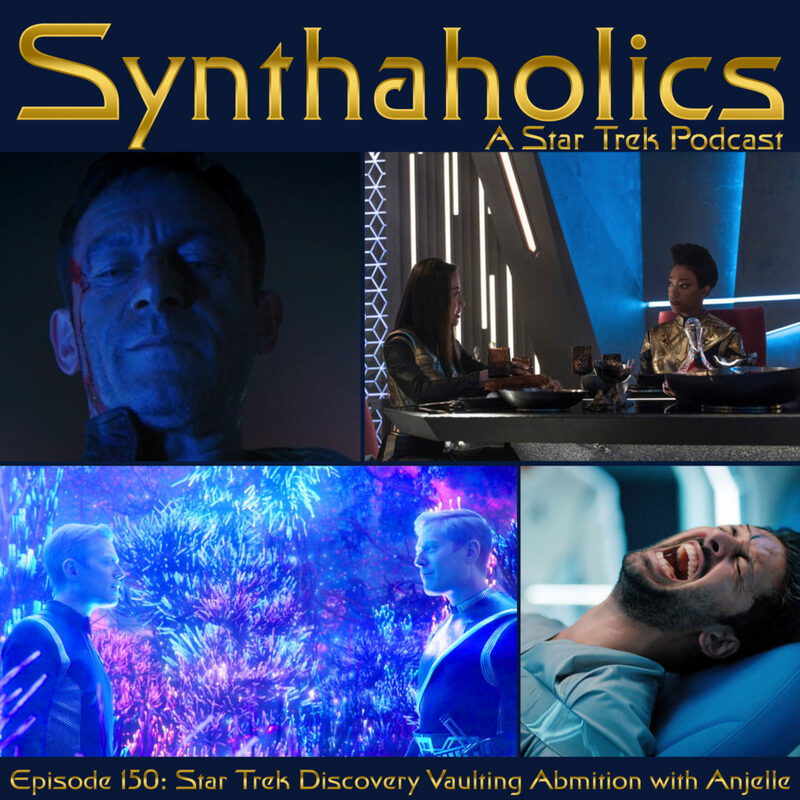 Aaron and David first talk a bit of news and non spoiler reactions to the episode before the episode synopsis and the spoiler filled episode discussion. 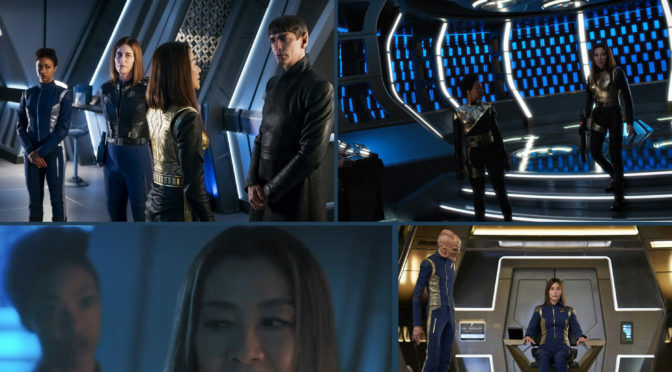 Everything about the episode is fantastic, the writing, the acting, the terrific fight scene it all comes together for an absolutely fantastic mid season finale! 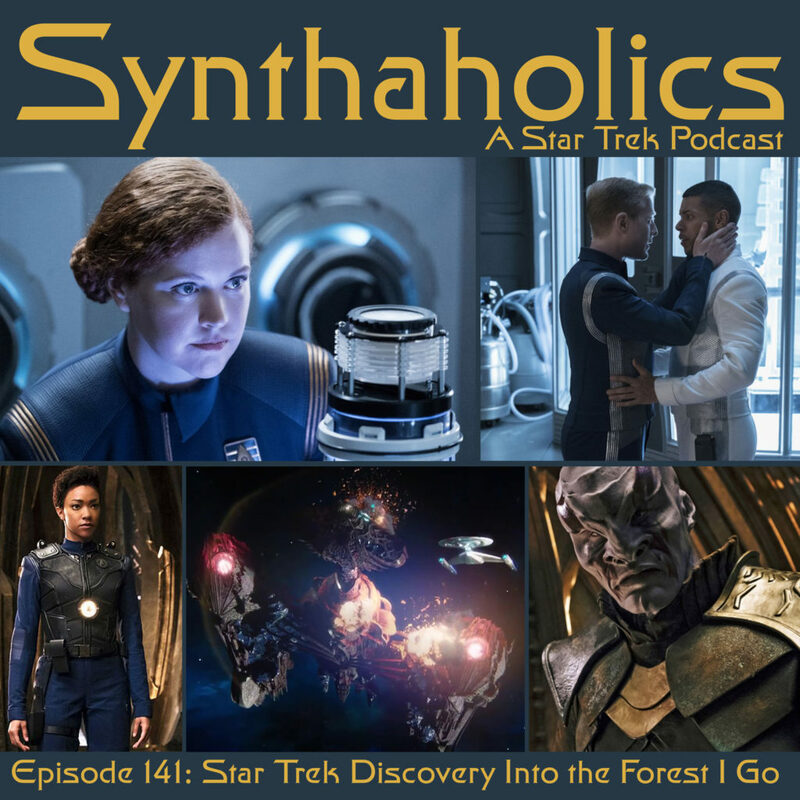 We hope you brought lots to drink and a bag full of bread crumbs because it’s time to go into the forest for your weekly shot of Star Trek! Aaron and David are back to discus “Si Vis Pacem, Para Bellum” or if you want peace prepare for war. 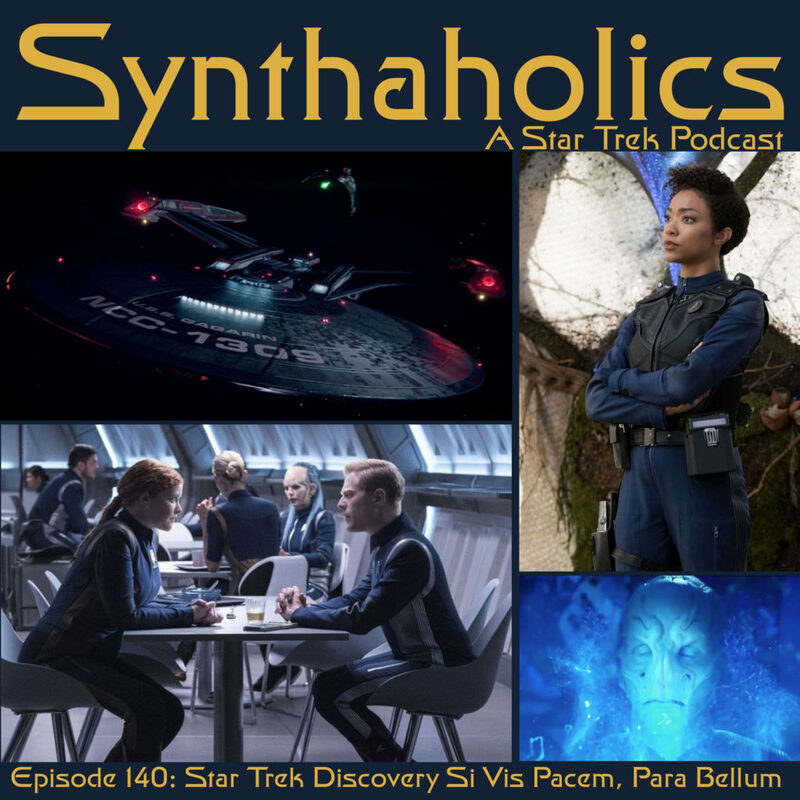 This week we get our first planetary away mission since the opening of “The Vulcan Hello”, more Klingons, and Admiral Cornwell! 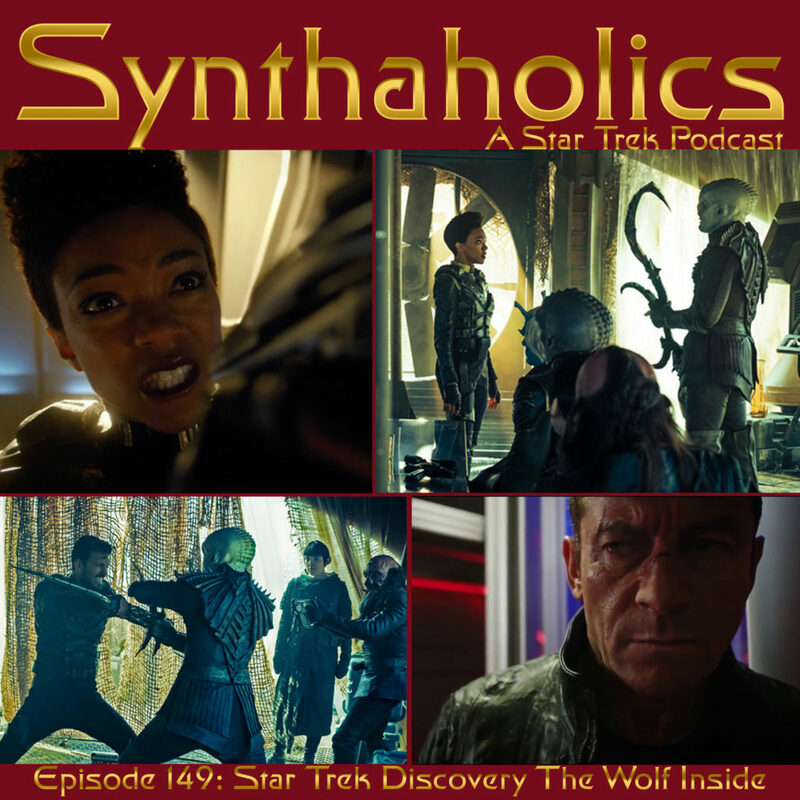 Saru is leading the landing party and much of the episode is a character study on our Kelpien officer as we start to learn much more about him. 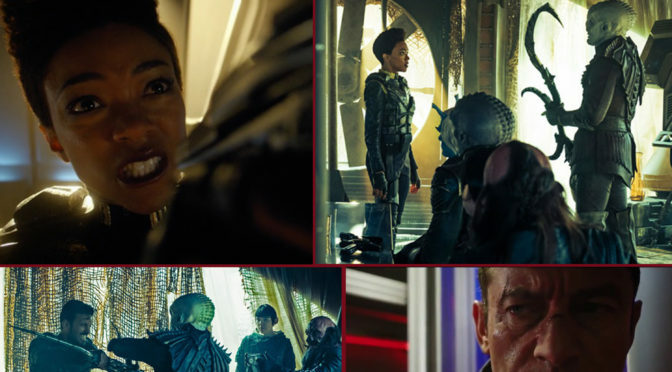 We only have one more episode until the midseason finale and this Si Vis Pacem, Para Bellum feels like the first part of a two or three part episode. 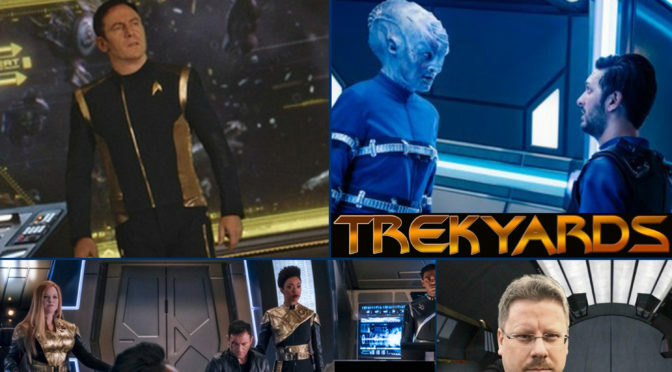 Grab a drink it’s time for your weekly shot of Star Trek!